Product prices and availability are accurate as of 2019-04-21 14:22:23 UTC and are subject to change. Any price and availability information displayed on http://www.amazon.com/ at the time of purchase will apply to the purchase of this product. The glory years for the Toronto Maple Leafs—four Stanley Cups in the 1960s—may be distant memories, but what the team lacks in recent accomplishments is made up for by their history, which is rich in drama, pathos, and, most of all, humor. 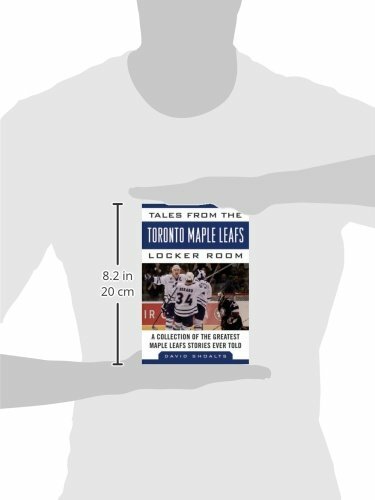 Figures connected to the Maple Leafs from the 1950s to the present offer their best stories, including some new takes on the team’s legends. 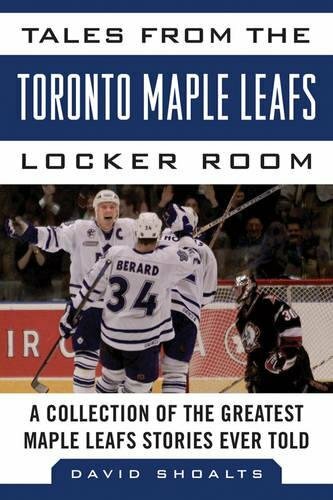 Players, coaches, broadcasters, and team executives come together to share a long list of funny anecdotes about their time with the Leafs. Bobby Baun recalls the unprecedented moment in the 1964 Stanley Cup finals when he slammed a game-winning goal into the net while skating on a broken leg. Bob Haggert, a former Leafs trainer, shares his memories of Conn Smythe, the unyielding military man who founded the team. Also telling tales is Jim McKenny, defenseman-turned-forward-turned broadcaster, whose sense of humor is as deft as his skating. Joe Bowen, long the voice of the Maple Leafs on radio and television, is along for the ride, as are Bob McGill, Glenn Healy, Walter Gretzky, and so many more.